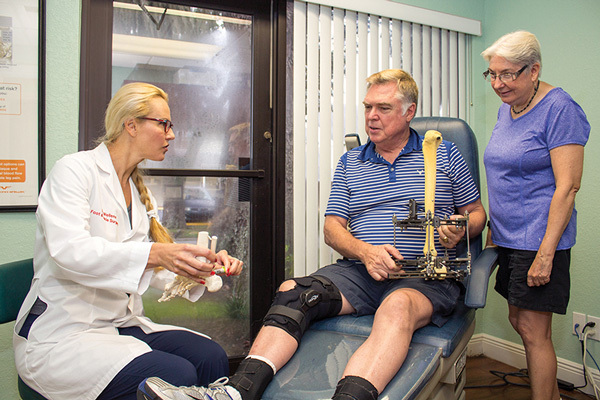 The idea quickly expanded from shoes for people with diabetes to any kind of footwear that might help someone with a foot problem: orthopedic sandals, running shoes, and footwear appropriate for business dress. The relationship between the medical practice and the store is symbiotic, Fletcher says. 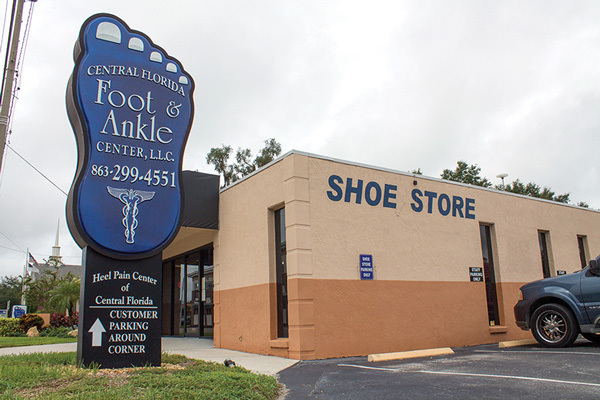 Some people arrive at the practice for medical advice and are advised by the doctors to go shoe-shopping; others are first drawn into the retail space and, when they describe their particular foot problem to a sales associate, learn they would be wise to schedule an appointment with one of the podiatrists. Fallon Dann has been manager of the medical practice for 15 years and has witnessed firsthand how enthusiastic patients are about the on-site shopping option. 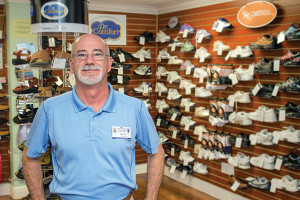 It’s not only the convenience that impresses them, Dann said; it’s the variety of options that belie the stereotype of clunky shoes as the best for foot care. 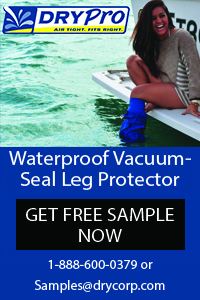 To the surprise of many first-time customers, this range extends even to flip-flops. As marketing director for the practice, Rich Mattsson is happy to be on the front lines of both patient care and fashion retail. 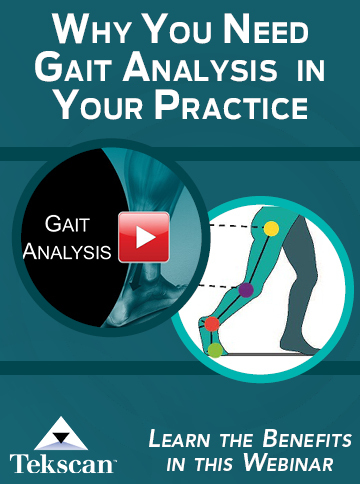 Although prices for high-quality, orthopedically beneficial shoes may be higher than those found at a bargain shoe outlet doesn’t seem to bother most of their customers, Mattsson says. 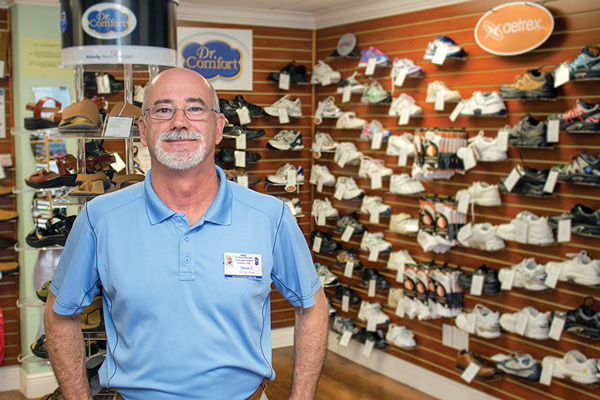 “Instead of flimsy twenty-dollar shoes from a big box discount store, we provide shoes that are approved by the APMA, and make people’s feet feel good,” Mattsson said. 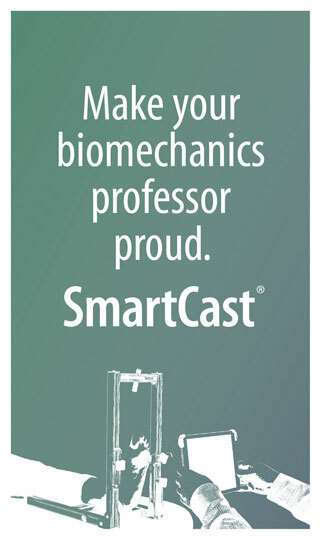 It’s a winning formula—for the practice, for the customers, and, most of all, for the customers’ feet.